Waverley values and supports families. Residents and workers can choose a variety of education and care environments for their 0-5 year-old children while they undertake paid work and/or participate in community life. It is also a bustling hub for young people from all over Sydney. Our beaches and parks, arts, culture and sporting facilities, schools and transport interchange attract are used by young people from across eastern and inner Sydney, making Waverley an important regional hub. Children’s services provided directly by Council include four Long Day Care services, a Family Day Care Service, and a Family and Community Support Worker. Council also supports a number of community-based services for children, families and young people. 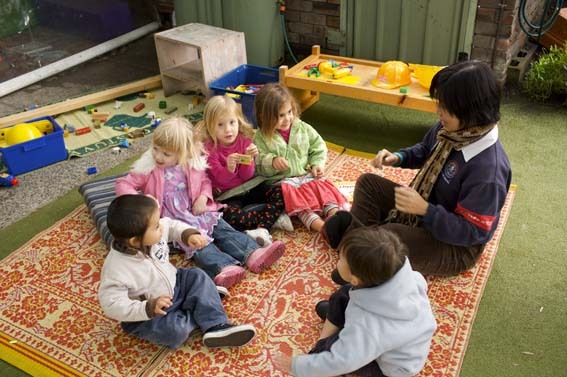 Children’s Services: Long Day Care, Preschools and Family Day Care in Waverley provide high-quality education and care programs. Support for families of children enrolled in Council's children's services. We assist in providing priority of access to children with additional needs into Waverley Council's Early Education Centres and Family Day Care services. Young people: Waverley Council provides and supports a variety of activities and services for young people with the aim of ensuring their full inclusion in the social, economic and cultural life of our community. Council provides affordable accommodation and meeting rooms for community organisations, and grants to support their operation. Every year, we undertake direct consultation with young people to ensure their voice is heard on at least one major Council project that will affect their daily lives.